A Glasgow writer has been swallowed up by social media after revealing she can taste people’s names. Julie McDowall sees nothing out of the ordinary in being able to measure a word – or a name – by the taste it gives her. 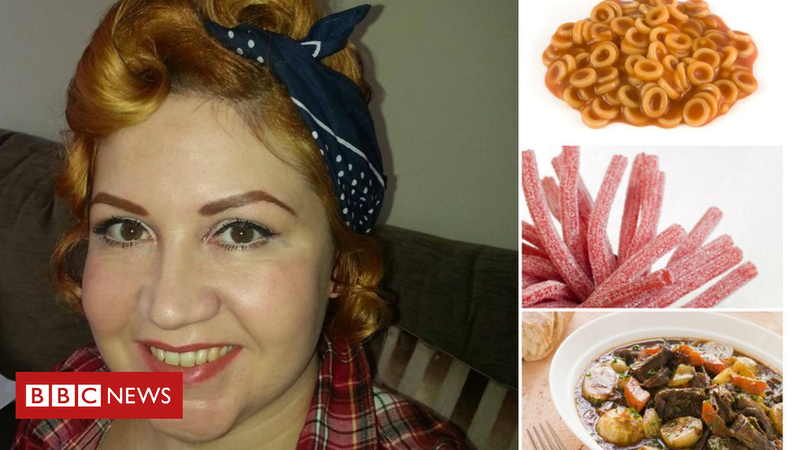 After revealing on Twitter that she had a condition which means she can describe the tastes she experiences when she hears a word, she was bombarded with millions of requests. Julie said: “I have a neurological condition, synaesthesia, which sounds serious but is actually quite funny. “It means that when I hear a word, I can automatically taste something. Sometimes I can get a sensation or an image, but mostly it’s just a taste. “Other people have different versions of synaesthesia where they hear music or see colours but with me I am assaulted by tastes and strange images. Synaesthesia is a recognised medical condition. It has been described as a “union of the senses” where two or more of the five senses are involuntarily and automatically joined together. Some synaesthetes experience colour when they hear sounds or read words. Others experience tastes, smells, shapes or touches in almost any combination. These sensations are automatic and cannot be turned on or off. Synaesthesia is not a disease or illness and is not harmful. Julie has ‘lexical-gustatory synesthesia’ which relates to taste and words. Julie has the condition, as does her sister and mother. But she was completely unaware that everyone else couldn’t taste words and names until she was eight years old. Julie said: “My aunt was pregnant and she took my sister and I to a chip shop for some chips and cola to celebrate. “She said: ‘Girls, I’m thinking of baby names, what do you think about Sarah? And my sister and I were utterly disgusted and told her Sarah is greasy hair, it’s disgusting’. She just looked at us and said what on earth are you talking about? Julie likens the feeling to a background hum, like being at home and hearing the birds or the traffic outside. She says it doesn’t interfere, it is just simply there. She considers this gift to be a party trick. And she says it relaxes her away from her day job as a nuclear journalist. She told BBC Radio Scotland’s John Beattie programme: “I spend all my time writing and podcasting about nuclear horror and nuclear dread and coping with the threat of the four-minute warning. “Last Sunday I had released a podcast about nuclear war, what would you do in the last four minutes before the bomb drops? Very grim. So for a change I thought I would tweet something funny. She received more than six million notifications over a 24-hour period. Julie and her sister have different tastes for names. Julie tastes Jennifer’s name as a pin dipped in vinegar, and Jennifer tastes Julie as “a wee chocolate statue of me”. Julie believes their shared experience brings them closer and would not change it. She said: “It is really entertaining, especially when I’m with Jen and we can compare names and laugh at the strange tastes and images which are thrown up. “It has also brought joy to some people on Twitter. It has now been suggested to Julie that she writes a book about baby names. She said: “But I have a book coming out soon about nuclear history and that might clash! The flavour of life is love. The salt of life is also love.